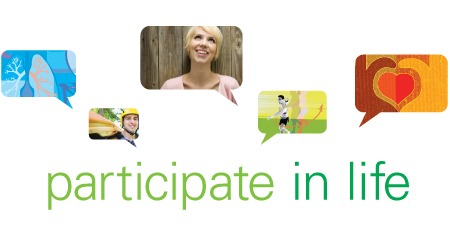 This year’s Annual Enrollment Campaign for BP is all about participation, involvement and tools to better understand your health. We all know when it comes to one’s health and wellness, it’s very personal. Whether it be asthma, diabetes or heart disease, with the help of BP’s Condition Management Program, you can manage your condition effectively. We use a group of photos and illustrative ‘avatars’ that visually remind employees that no matter the condition, you can and should participate in life! This entry was posted on August 12, 2011 at 9:05 pm and is filed under Employee Communications, graphic design, Uncategorized. You can follow any responses to this entry through the RSS 2.0 feed. You can leave a response, or trackback from your own site.